I've been dreaming about a Hawaiian vacation since the last time Jamie and I went to Oahu, one month after 9-11. (We had planned the trip weeks before.) Even though were a bit nervous about flying (the airports were all but deserted), it turned out to be THE best vacation I've ever had in my adult life. It was everything a vacation should be: relaxing, leisurely, no-pressure, fun (I surfed! ), good eats (highly recommend the omakase at sushi sasabune), beautiful views (we climbed Diamond Head Crater!). Even though we were living in sunny Los Angeles at the time, we couldn't wait to get to Hawaii. Two kids later.This time around it would be a family vacation. 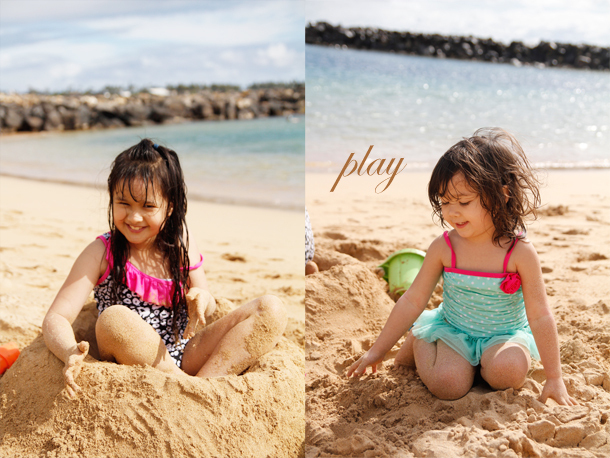 But I still wanted all the sun, fun and relaxation of our first Hawaii holiday. 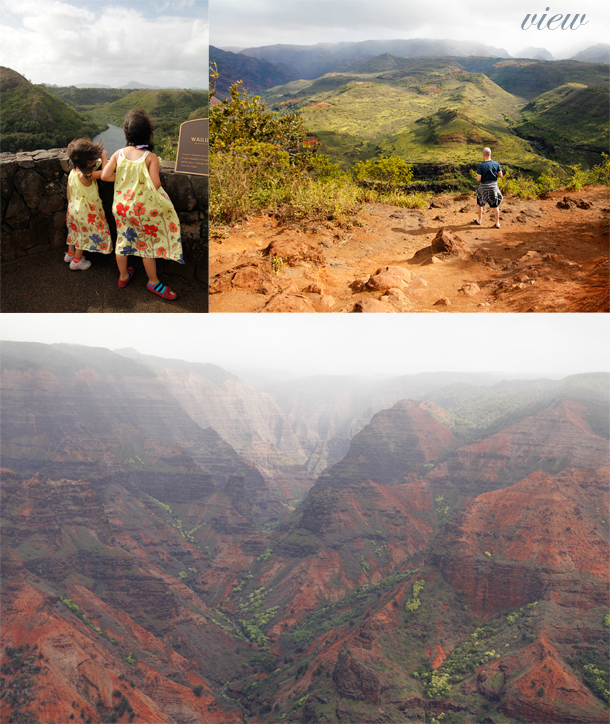 Kauai was just what I needed during this gloomy February in Washington! Not only did we celebrate Valentine's Day on the Garden Isle, but my 40th birthday as well! Windy and overcast on our first afternoon at the beach. We took shelter next to some bushes, while the girls played in the sand. It was that cold! 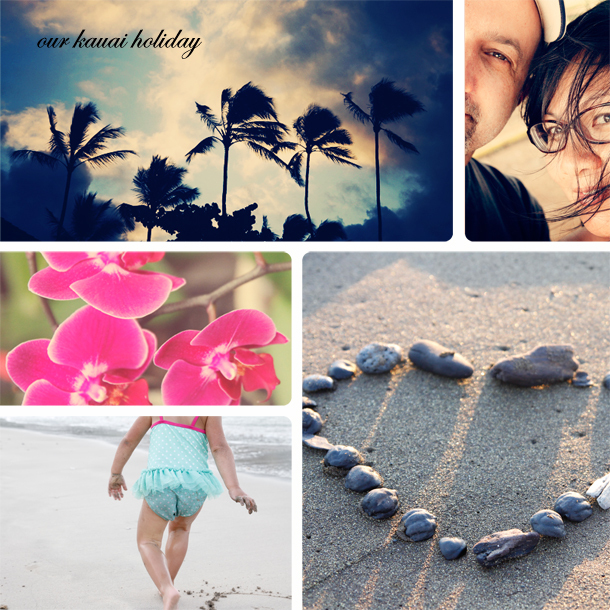 Good food, do-nothing-but-enjoy-the-sights-and-sounds-and-feel-of-the-beach days, long scenic drives around the island, plenty of sleep, and lots of family time pretty much sums up our 9-day, 8-night Hawaiian adventure. The wind didn't bother Sofia. My oldest daughter, Sofia snorkeled for the first time. We collected beach glass on Glass Beach. Jamie body-surfed. 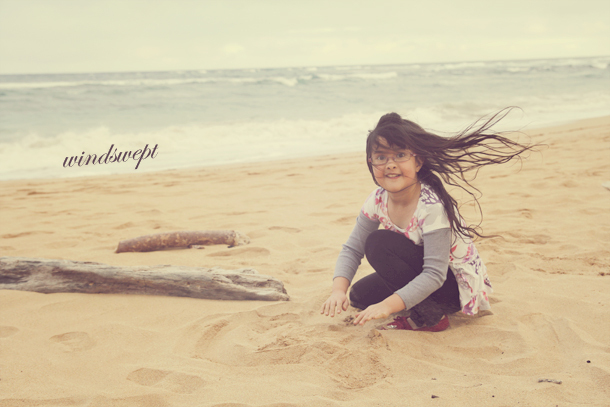 Zara buried herself in the sand. Luckily, the days warmed up for our next day at the beach. 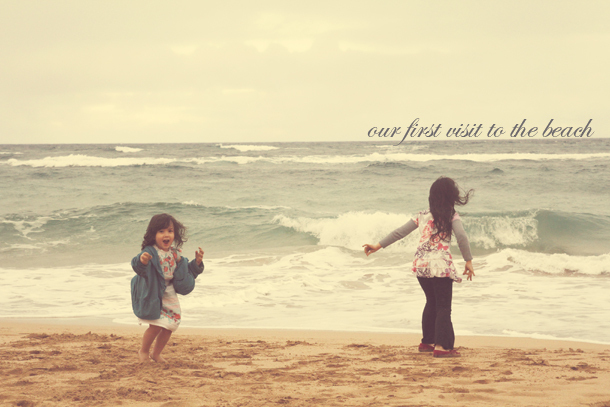 We got used to having sand between our toes. I toted my camera everywhere and snapped photos almost non-stop.We ate out almost every meal (until we wised up and bought some cereal and milk to eat in the mornings). 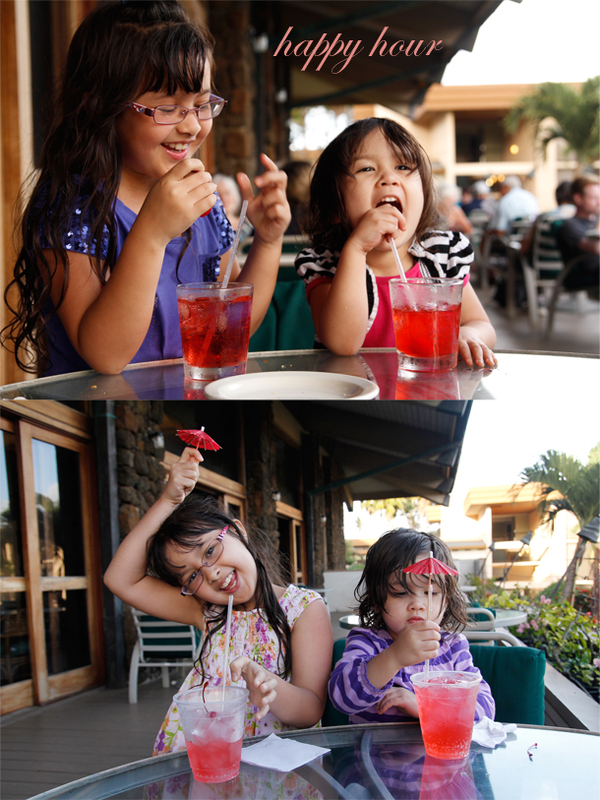 We enjoyed happy hour at our hotel a few nights: shirley temples, margarita and mai tai. And those are just some of my favorite photos....I'll be back in another post with more adventures: including a trip to a fabric store, our favorite eats and how I spent my 40th. Thanks Amy! I took my camera EVERYWHERE. It probably needs a good cleaning now with all the trips to the beach. Ohhh I want to go to Hawaii so badly!!! I have family in Kauai, actually! :) these photos are lovely. I'm glad you had such a wonderful trip!